Home > Entranceexam > NATA 2018 - Check Result And Download Scorecard! NATA 2018 is a national level architecture which is conducted by COA (Council of Architecture). National Aptitude Test in Architecture is organized to select the candidates for five years B.Arch course in various colleges across India. NATA is an eligibility test for securing admission into the architecture course. The scored marks will be valid for the admission in academic session 2018-19 only. The scores help a candidate to secure admission in government, government-aided/unaided architecture institutes in India. The result for NATA 2018 has been declared on 7 June 2018 by COA. Candidates can get it downloaded by entering their application number, password and security pin. Latest Update: NATA Result 2018 has been declared on 7 June 2018. NITs base admission into B. Arch on the basis of JEE Main Paper 2. IITs offer admission into B.Arch on the basis of Architecture Aptitude Test. NATA measures the drawing and observation skills, sense of proportion, aesthetic sensitivity and critical thinking ability related to Architecture. There is no common NATA Counselling and students have to apply to individual architecture colleges on the basis of NATA Score Card. 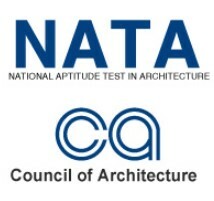 There are around 387 architecture colleges that accept NATA score for admission into B.Arch, B.Planning Course. About 80,000 students appeared in NATA in 2016 and nearly 1 Lakh students in 2017. NATA Mock Test for the year 2018 is also available. Hence, the candidates who are appearing in the exam this year are suggested to take the mock test. The link to take the mock test is given below. The mock test will help the candidates to encounter the similar impression as of the actual exam. Also, the candidates will be able to understand few more things about the exam before actually appearing. Age Limit: Council of Architecture has waived the lower age limit for appearing in NATA 2018. However, the candidates have to fulfil the age restraints that may be specified by the respective counselling or admission authority. The candidates must have secured 50% marks in 10+2 or equivalent examination with Mathematics as one of the subjects or equivalent examination. NATA 2018 Application Process has started from 18 January 2018. The candidates were earlier allowed to fill the form until 2 March 2018 which has now been extended up to 30 March 2018. Hence, the candidates who have not yet filled the filled the application form has the opportunity to do so until the deadline. The link to fill the application form is given below. Personal Details: The candidates must enter their Personal details in NATA Application form and after that, the system will generate a unique7-digit numeric application number. Uploading Documents: The candidates after filling the personal details will be directed to upload their documents. NATA 2018 Application form has to be submitted in online mode only, however, the applicants can pay the NATA 2018 Application Form fee in offline mode and keep the necessary documents ready before filling the NATA Registration form. They can take a print out of the confirmation page. NATA 2018 Admit Card will be available from 16 April 2018. The candidates who have filled and submitted the NATA Application Form will be able to download their NATA Admit Card and appear with the hard copy of the Admit Card on the day of the exam. NATA 2018 Admit Card must contain the photograph and signature of the candidates. NATA Admit Card must be kept by the candidates till the admission process gets over. Get more details about the NATA Admit Card by following the link on this page. NATA response sheet has been released on 17 May 2018. Answer key of NATA was released on 18 May 2018. The result contains the details about the marks obtained out of 200 in each component by the candidates and whether the candidate is Pass/ Fail. NATA Result 2018 has been declared on 7 June 2018. Overall qualifying marks (out of 200) will be based on post-exam statistics. The Question Paper for previous are not available as each student gets a unique question paper and thus, no specific question paper is available. There are some NATA Books given on this page and student can buy them to practice questions of NATA. Drawing Test: The answer to each question in the 'drawing' paper will be examined by a panel of three examiners independently and the marks are averaged. It may be further subject to moderation. Computer-based Test: follows adaptive testing that is the candidate is administered a set of questions with a difficulty level that is specifically designed to match the candidate's ability level. The mathematical process for calculating a score in this situation incorporates the statistical properties of the questions, the examinee's performance on the questions, and the number of questions that are answered. Who should appear in NATA and Why? Candidates desirous of taking admission to the First year of undergraduate course in Architecture (Bachelor of Architecture) in India take NATA. NATA scores are used by admissions authorities of different Government, Govt. Aided & unaided schools/colleges of Architecture, to provide a common measure for comparing the qualifications of applicants, for admission in addition to their scholastic performance in Class 12 or equivalent examination. NATA measures the aptitude of the candidate for a specific field of study, i.e. Architecture.